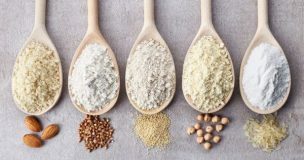 This article provides an in-depth guide to working with gluten-free flours. 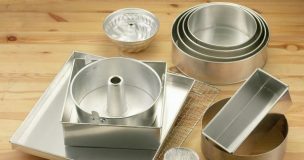 I discuss what purpose gluten serves in bakes, and how to achieve the same effect when using gluten-free ingredients. I briefly describe the physical properties of each gluten-free flour, and assess what effect they have on a bake. I offer recommendations on which ones are the most suitable to use, and some advice on solving common problems. This article provides a guide to replacing butter with lard in baking recipes. I describe the role that fat plays to effect the structure and flavour, and the difference between using a solid fat and a liquid fat. I provide a simple set of instructions for adapting recipes, including a conversion chart, and recommend which recipes are most appropriate for substitution. 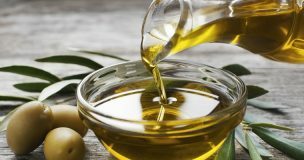 This article provides a guide to replacing butter with olive oil in baking recipes. I describe the role that fat plays to effect the structure and flavour, and the difference between using a solid fat and a liquid fat. I provide a simple set of instructions for adapting recipes, including a conversion chart, and recommend which recipes are most appropriate for substitution. 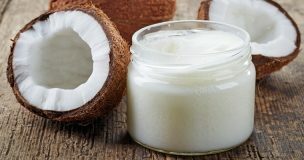 This article provides a guide to replacing butter with coconut oil in baking recipes. I describe the role that fat plays to effect the structure and flavour, and the difference between using a solid fat and a liquid fat. I provide a simple set of instructions for adapting recipes, including a conversion chart, and recommend which recipes are most appropriate for substitution. 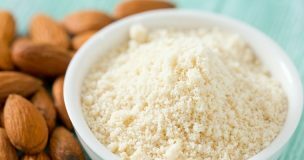 This article provides a short guide to replacing wheat flour with ground almonds in baking recipes. I compare the physical properties of both, and describe what affect they have on the structure and flavour of a bake. I provide a simple set of instructions for adapting recipes, including a conversion chart for the amounts to use. 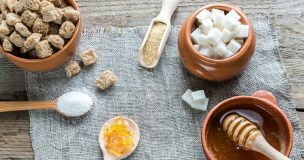 This article provides a guide to replacing sugar with honey in baking recipes. I describe the role that sugar plays, and compare the different types of sugar that are commonly used in baking. I provide a simple set of instructions for adapting recipes, including a conversion chart, and recommend which recipes are most appropriate for substitution.